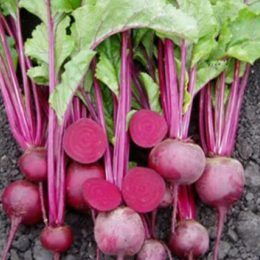 Ideally suited for cool season production – it has an excellent disease package -a very uniform beetroot with a small taproot. Early Wonder has proven itself to be a reliable, high yielding variety, ideally suited for warm season sowing. Maturity is early, around 60 – 70 days. Globe Dark Red has proven itself to be a reliable, high yielding variety, ideally suited for warm season production. Maturity is early around 65 – 75 days.